Drone strike kills pair in Pakistan, U.S. officials say; White House orders review of incident. 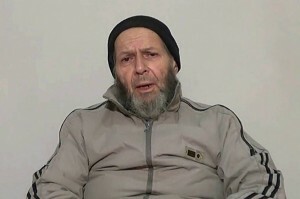 A U.S. drone strike in January targeting a suspected al Qaeda compound in Pakistan inadvertently killed an American and Italian being held hostage by the group, the first known instance in which the Central Intelligence Agency killed hostages in a drone attack. The deaths of American development expert Warren Weinstein and Italian aid worker Giovanni Lo Porto represent a major blow to the Central Intelligence Agency and its covert drone program in Pakistan, which President Barack Obama embraced and expanded after taking office in 2009. Mr. Obama, speaking at the White House Thursday morning, said he takes full responsibility for the January drone strike that killed the two hostages. The president said he spoke with Italian Prime Minister Matteo Renzi and the families of the victims. The incident also underscores the limits of U.S. intelligence and the risk of unintended consequences in executing a targeted killing program that human-rights groups say endangers civilians. U.S. officials say the strikes are needed to combat al Qaeda. To mitigate the risks, officials say the CIA won’t launch missiles at a suspected target if they know civilians are present.